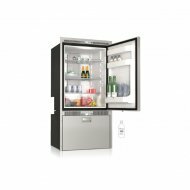 Available in single and double drawer models, with different combinations of fridge only, fridge/freezer combo, freezer only and also some models have an icemaker built in! 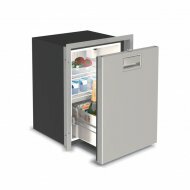 These units pull open for easy viewing of everything inside. 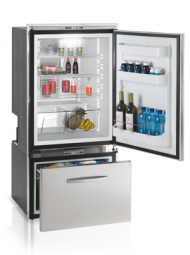 No more stooping over to see whats in the fridge!!! 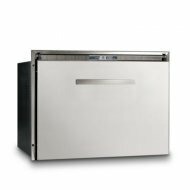 Built from the highest quality materials; the drawers and mounting flanges are made of 316 AISI Stainless Steel. 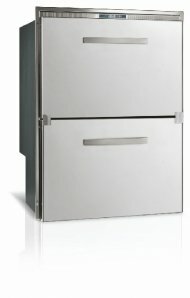 The exterior has a brushed finish, sleek and elegant in any yacht interior. 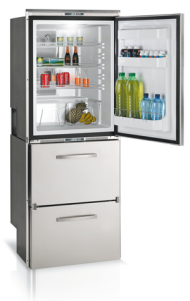 They feature bright LED lighting, and electronic thermostats for precise temperature control. 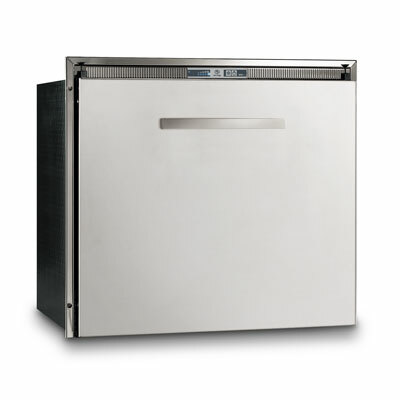 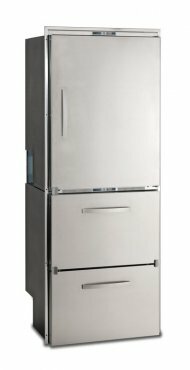 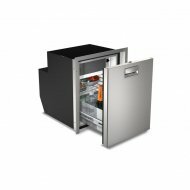 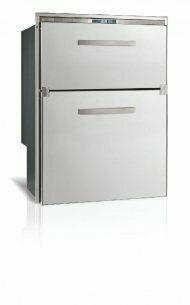 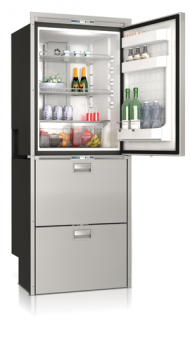 The DW250 and DW360 are hybrids a spacious front-opening refrigerator on top and roomy drawers below, again available in many fridge/freezer combinations.